Pizza is an excellent source of vitamin C. it is high in fiber and low in fat and sodium. 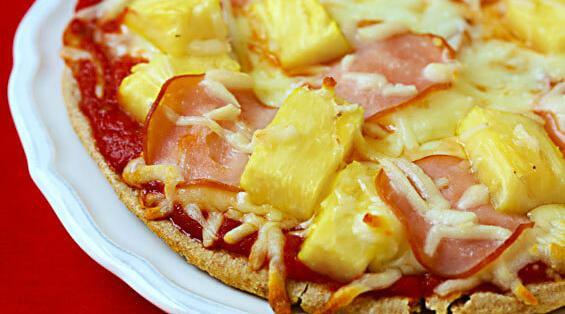 If you are looking for a non-guilty way of eating pizza, add pineapple!! !